The new Thoroughbred Virginia Certified Residency Program continues to produce strong early returns. For the first quarter of 2019, a total of 43 bonus winners received an average reward of $4,169. All of these are three-year-old winners from the first crop of 464 Certified horses. A total of one million has been budgeted to give away in bonuses this year. As two-year-olds in 2018, the same group produced 47 winners and an average bonus of $4,625. 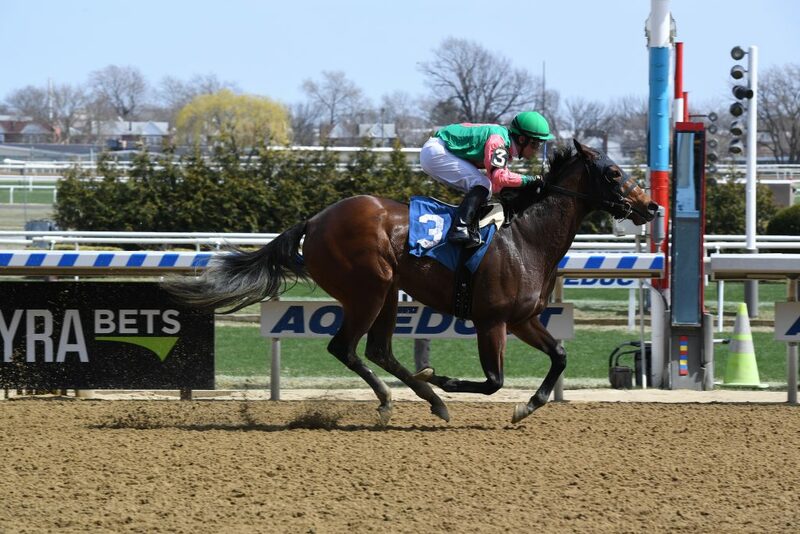 Big Brown Cat captures his second straight race at Aqueduct on April 7th. Photo by Adam Coglianese. One of the 2019 success stories so far is Big Brown Cat, won has won two straight at Aqueduct. The three-year-old Big Brown filly authored a gate-to-wire effort in a $50,000 claiming race there April 7th. 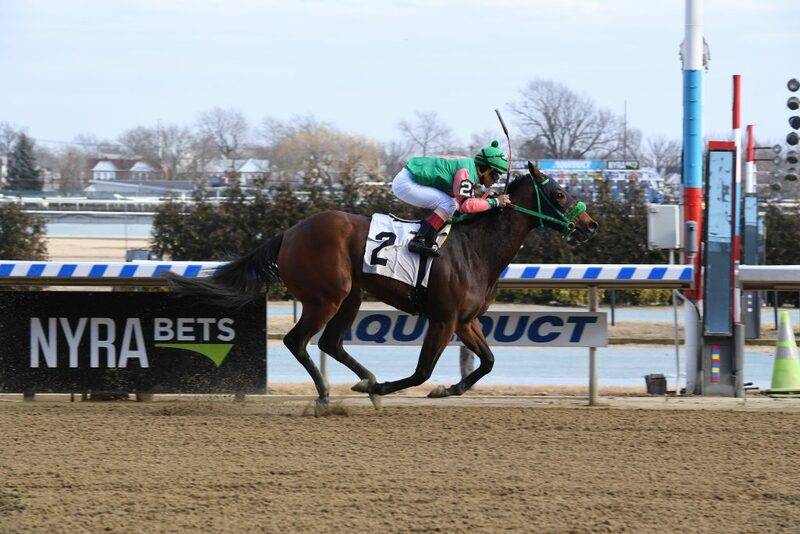 Jockey Ben Hernandez led the New York-bred to a five length triumph in that six furlong dirt race. On February 15th, she wired the field as well in a 5 1/2 furlong maiden claimer. Owner Robert Valeri received a 25% bonus for both victories. Big Brown Cat spent her six month residency at Woodberry Payne’s Ingleside Training Center in Montpelier Station. Virginia Certified Big Brown Cat, shown here winning at Aqueuct February 15th, is a New York-bred. Photo by Adam Coglianese. A Certified horse is a horse registered by The Jockey Club, conceived and foaled outside of Virginia, that maintains residency in Virginia for at least asix month consecutive period prior to December 31st of its two-year-old year. Owners of Virginia-Certified horses are eligible for 25% Owners Bonuses for wins at Mid-Atlantic racetracks (NY, NJ, PA, DE, WV, MD & VA). More details and a list of partner farms and training centers is at www.vabred.org.